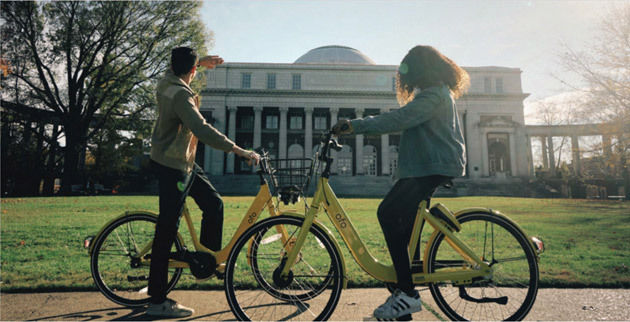 As part of its ongoing mobility and transportation strategy, Vanderbilt University is launching a six-month pilot of a dockless bike-share program beginning Tuesday, March 27. 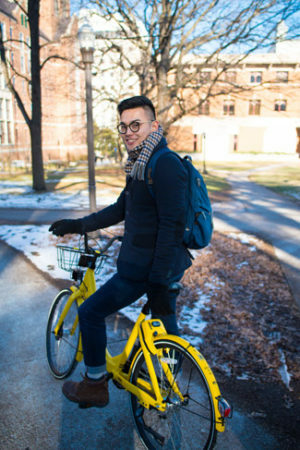 The university is partnering with ofo, the world’s first and largest dockless bike-share company, to bring 100 bikes to campus. Rides are free for the first month, and the Vanderbilt University and Vanderbilt University Medical Center communities will receive a preferred pricing rate of 50 cents per hour throughout the pilot. 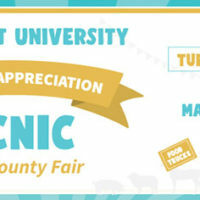 To celebrate the launch, a kickoff event is taking place on Alumni Lawn from 11 a.m. to 2 p.m. March 27. The pilot is supported by FutureVU, Vanderbilt’s land-use planning initiative. During transportation working groups at the Wond’ry and other community forums, the FutureVU team received numerous recommendations to expand bike-share programs on campus. Yalun Feng, a senior majoring in environmental studies and political science, and the Vanderbilt Innovation and Social Entrepreneurship Society, brought forward the idea of partnering with ofo to Kopstain and the FutureVU team last fall. The ofo model uses a mobile application and allows for bikes to be shared among riders, removing the need for personal bikes and docking stations. 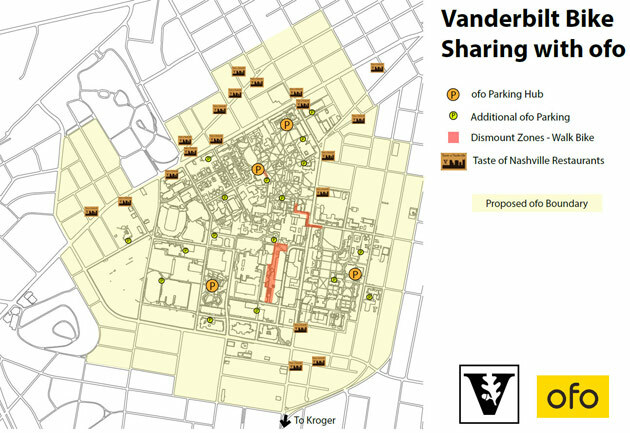 To help educate riders on where best to park, Vanderbilt worked with ofo to establish a geofence boundary that outlines areas where riders can park. Rides can take place outside the boundary, but bikes should be parked within the geofence at the end of each trip. 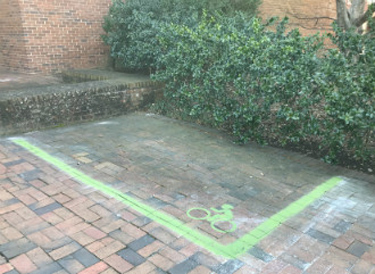 Preferred parking areas on campus are noted with green paint and a bicycle symbol. To get started, riders simply download the ofo mobile app (available for both iOS and Android). Find a bike: Open the app and look for bright yellow bikes near you. Tap and scan: When you’re at the bike, tap “unlock” and scan the bike’s barcode to automatically unlock it. Enjoy the ride. Park and lock: At your destination, simply park your bike anywhere on campus at a bike rack and manually lock it to end the trip. Safety is a top priority for Vanderbilt and ofo. A patrol team provided by ofo will monitor the bikes, address maintenance issues, and relocate bikes left outside the geofence or blocking pathways. Vanderbilt’s public safety and facilities teams also will assist with moving bikes as needed and will address accessibility and safety concerns.